Early weightlifters often participated in many other forms of “heavy” athletics and field events were a natural fit. Here’s the great lifting champion Josef Steibach also doing a little stone tossing. On June 23, 1907, Steinbach won the Stone Throwing Championships of Austria with a toss of 7.17 meters — this may have been that very throw. Here’s one for the “betcha-didn’t-know-this-one” pile: Here we have a vintage advertisement for “The Geisel Exerciser” which appeared in the December, 1907 issue of Bernarr McFadden’s ‘Physical Culture’ magazine. This device was actually patented in 1906 and is composed of a rod, encased by a heavy spring with a pair of handles. One uses it by grasping the handles and pushing or pulling them together in various positions. And this Geisel fellow from Springfield, Mass. who invented it? It doesn’t appear that he made a tremendous splash in the physical training field but his son Theodor would go on to become well known as Dr. Seuss of children’s book fame. In 1907, Professor Gilman Low established the phenomenal record of one million-six-thousand (1,006,000) pounds in thirty five minutes and four seconds — interestingly, this was after a period of training on only one meal a day and less. 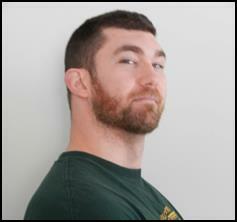 Low’s record was accomplished by backlifting 1000 pounds 1,006 times in thirty five minutes and thirty four seconds. Immediately following, Low set an additional record by lifting 2000 lbs. forty four times in four minutes. As far as we know, these records still stand. 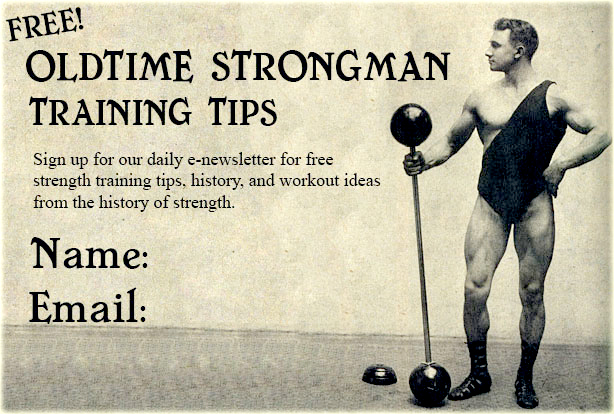 Back in 1899, the hottest thing going was Eugen Sandow’s Grip Dumb-Bells which consisted of two dumbbell “halves” joined together by a series of springs. 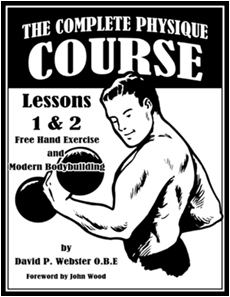 While they were not the first piece of mail order strength equipment, Sandow’s Grip Dumb-Bells were very close — and they were certainly one of the most well-known. As one followed the suggested workouts, they could build their forearm strength by keeping the two halves “crushed” together as they trained the rest of their body through various other movements. Also, according to several of the advertisements, regular training with these dumbbells also improved not only strength but will power and concentration as well. Sandow’s Grip Dumb-Bells came in a variety of styles and types — ranging from “Basic Black” to nickel-plated models with leather handles. There were also different resistance levels for “Gents” men, women, youths and children. This ad is from 1907. 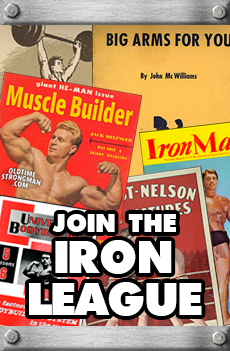 Thomas Inch had some of the all time best advertisements in the history of strength training. The one above is a fantastic example from 1907.